Thunderbolted: USB-C is our new connection overlord. Get used to it. Perhaps we should have read it as an omen that the MagSafe 2 adapter for older, original MagSafe connectors was listed as discontinued on the Apple Store in the U.S. and Canada last week. It’s back in stock this week, but MagSafe’s future in new Mac laptops is uncertain with the revelation of the single-port MacBook. With just a USB-C connection for power, data, and display, MagSafe may be on its way to sing with the choir invisible. That’s a shame because Apple has retrained people of all ages, and perhaps some animals, to not worry about Mac laptop power cables. Go ahead! Stand on it, trip over it, yank it—the force of the smallest effort pulls it free. A USB Type C (or USB-C) cable has no such advantage. 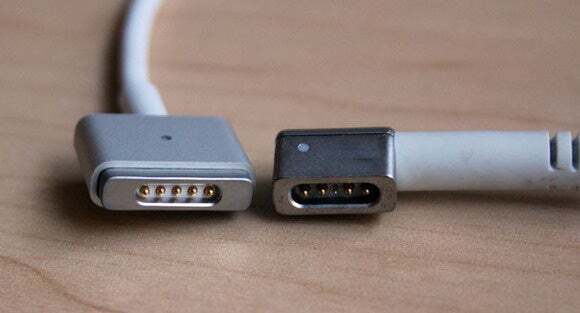 It has two distinct differences: first, a USB-C male end, such as the tip of a cable, is plugged into a port, very much like larger and deeper Type A and Type B USB connections. MagSafe (right) and MagSafe 2 (left) aren't as versatile as USB-C, but they've saved our bacon so many times. But how likely is a cord-tripper to yank a new MacBook off a surface versus the USB-C cable coming out first? My calculations, vetted by Mack and a variety of engineers, show it’s almost certain the MacBook will move a bit or a lot unless all your stars perfectly align. Hold on! Some math’s coming, but it’s worth it. The USB Implementors Forum specifies precisely how much force should be required to pull a USB-C cable free, measured in newtons (N), which is the force required to accelerate one kilogram (kg) of mass at 1 meter per second squared (1m/s2). Because an object under acceleration continuously increases its velocity, an object travelling at rest that is moved at 1m/s2 traverses 0.5m (1.6 feet) in the first second, 2m by the second second, and 4.5m by the third second. 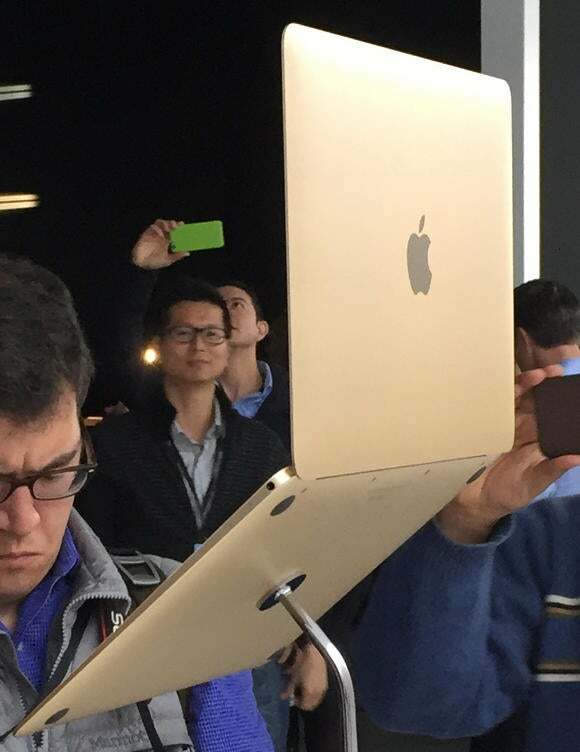 The new MacBook has rubber feet on the bottom, just like the current Apple laptops. But it's also lighter, which means it takes less force to move it. But we have to factor in friction. 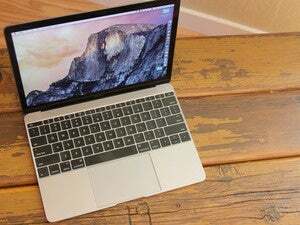 Assume the rubber-footed MacBook—it has four feet, just like a MacBook Air—is on a wood table. A standard friction coefficient for rubber on wood, the closest comparison I could find, is 0.70 for static friction (sometimes called stiction), or friction at a standstill. Dr. Drang—the nom de Internet of a consulting engineer who writes exceedingly clever things about science, software, and engineering—suggested via email that 0.70 is optimistic for many surfaces, and 0.40 more reasonable. Now we multiply the coefficient of 0.70 to get roughly 6N, or 0.40 to get about 4N. If the laptop is on a slick metal or glass table, the coefficient could be 0.20, or 2N or so. Consider gravity: this range of 2N to 6N is about 20 to 60 percent of one earth gravity. Not so much! 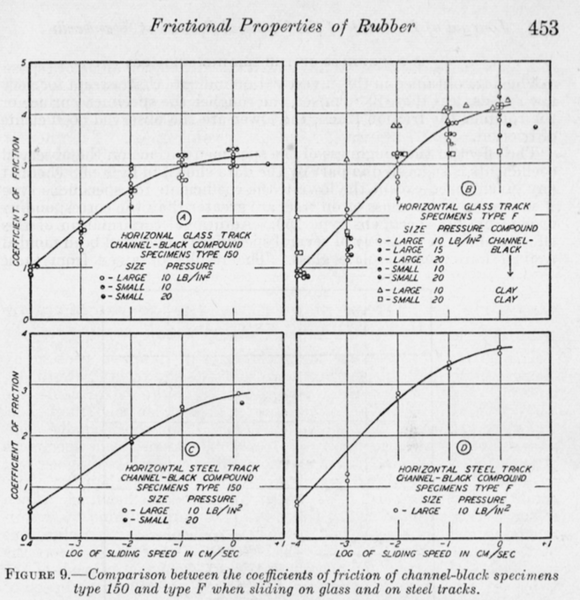 However, Grzesiak pointed me to a 1942 National Bureau of Standards (now NIST) testing report on rubber (see above) that looked with more detail into the initial point of overcoming static friction at various rates of initial acceleration. The higher the acceleration from zero velocity, the larger the coefficient. You want to get nerdy about the frictional properties of rubber? Oh, we can get nerdy about the frictional properties of rubber. A jerk from a cable could accelerate a laptop so rapidly that the initial coefficient factor of rubber on a glass table could be as high as 5—meaning you’d need force on the order of five earth gravities (50N) to get the MacBook moving. But recall that force involves mass and acceleration: an abrupt yank by a heavy weight (like a human’s leg intersecting with a cable) could briefly produce force on that order of magnitude! After the laptop has overcome static friction, kinetic friction comes into play, dramatically reducing the force necessary to keep it in motion and accelerate it further. Let’s take the case in which someone performs the most perfect pratfall such that the direction of force is absolutely and perfectly opposite the USB-C jack, so that there is no shear in any other orientation that we need to consider. 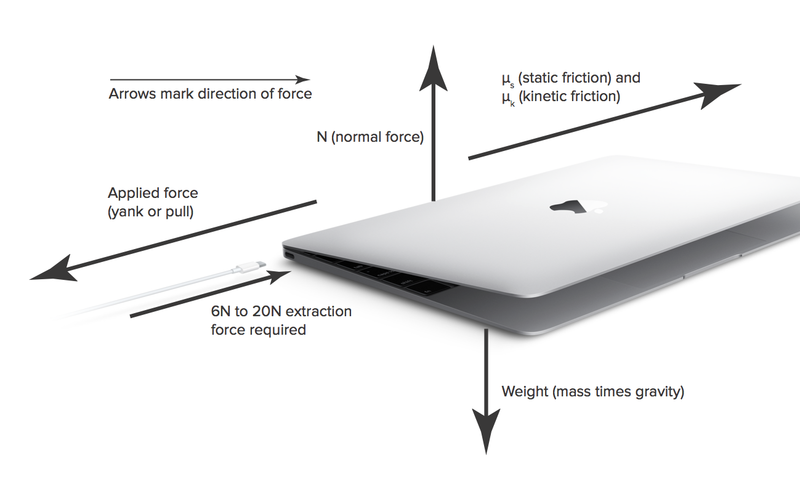 In that scenario, we know you need to apply an initial force of between 2N and 50N depending on materials and assumptions to cause the MacBook to reach an acceleration rate of the magical 1m/s2, but then less force thereafter. Since we need to pull at 8N to 20N to remove the connector, this is clearly ambiguous. Will the plug have pulled out of the jack by the time static friction has been overcome? And there’s a wrinkle. If you accelerate faster, you exercise greater force. That is, take 1 kilogram to 2m/s2, and the force is 2N. Thus, take the action noted above of someone’s leg intersecting with the cable, and assume the mass of the leg involved in the force is 10kg. That’s a tenfold multiplier against any acceleration produced. The cable’s tip and socket are supposed to measure just 6mm. Assuming the USB extraction force’s upper end, 20N, is the static friction and 8N is the kinetic friction, it’s possible that the cable pops free in a fraction of a second before the laptop moves much, if at all. What happens to the MacBook when you pull on the cable has less to do with the force you apply than the rapidity with which you apply it. If you pull on the cable with constant speed, or with any acceleration less than 4.8 m/s2, the connector will never come out, and you’ll dump the MacBook on the floor. If you pull on the cable with an acceleration greater than 17.8 m/s2, the connector will come out and you’ll heave a sigh of relief. Because the USB Implementors Forum describes a wide range in the spec, until and if Apple’s specific USB-C adapter is tested across multiple computers for extraction force, it’s impossible to know the necessary acceleration. Dr. Drang and Mack both said that if the laptop was free enough to be dragged off a surface, that shear could be reduced by the laptop rotating first to a less oblique horizontal angle. However, there’s still the matter of the angle from the MacBook to the point on the cable where force is being applied. That’s likely vertical, a drop from the plug’s slot to the floor where someone’s foot or leg catches on the cable. 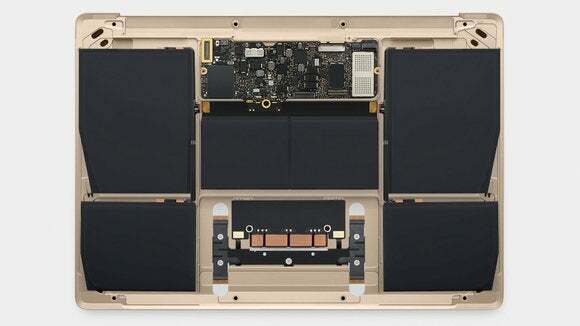 Greg Koenig, an industrial designer in Portland, Oregon, and a principal at Luma Labs, examined Apple’s logic board images and other photos of the MacBook at my request. He noted that the USB-C female connector isn’t part of the main logic board, unlike connectors on previous MacBooks. This isolates damage, if any were to occur. The new MacBook's logic board doesn't extend to the edges of the case, so if the USB-C port sustains damage, the rest of your MacBook could be unaffected. Assuming it hasn't crashed to the floor. Koenig says the port’s design doesn’t expose any portion of the sheet metal beyond the aluminum case. With enough oblique force, the cable’s metal head will be pinioned against the MacBook’s frame, not putting stress directly on the port. If the laptop is loose on a surface, pulling obliquely on the cable will almost certainly bring the laptop with it more reliably than in our “perfectly straight-out” thought experiment. 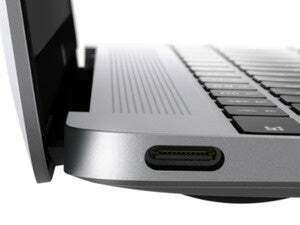 However, if the laptop is secured in some fashion—even if you’re holding it tightly in your hands—the cable’s male plug end is probably the weak point, and it would be torn off, said Koenig, leaving its shell in the USB-C port, potentially without causing any harm to the MacBook. The metal shell could then be removed carefully. At some level, I’m trying to reverse engineer Apple’s thinking around design and testing, both in its larger engineering participation in shaping USB-C, and in its particular implementation. All the calculations and exercises above have certainly been performed a thousand times in simulation and prototyping internally, shaping the development of the socket, logic board, external cables, and more. In the end, it’s not really enough. Mac laptops are going to go crashing to the ground in vastly greater quantities than they have over the last several years. I’ve heard it said since Monday morning that MagSafe was the single best hardware feature Apple invented for its laptops, and I’m hard pressed to deny that—although extra-long battery life is nice, too. Clearly, MagSafe was better and experts agree. I recommend retraining your toddlers now.